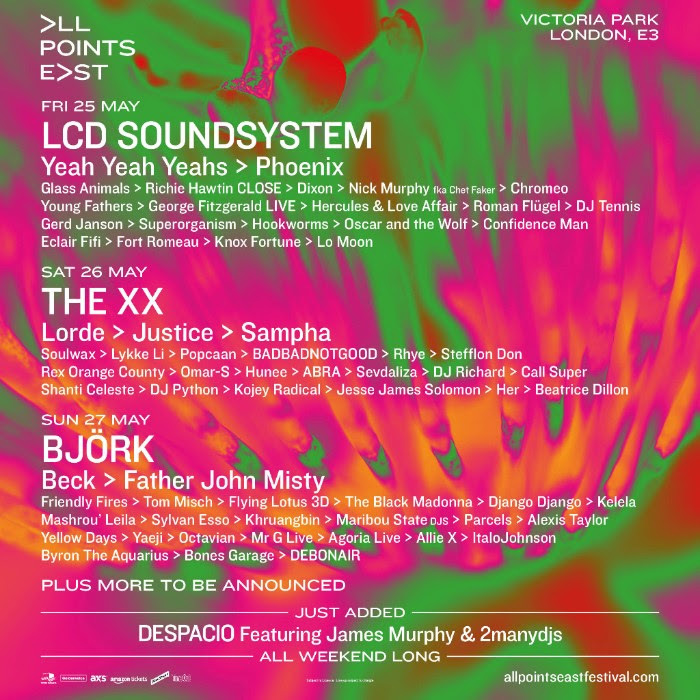 James Murphy and the Dewaele brothers’ soundsystem Despacio will be at all three days of the All Points East Festival in Victoria Park. Running from Friday, May 25th to Sunday, May 27th, the trio will DJ vinyl all day, everyday. Following the festival there will be a free-access, four-day programme of comedy, food, outdoor cinema and music. Three APE Presents… concert will be held from Friday, June 1st to Sunday, June 3rd headlined by Catfish and the Bottlemen, The National and Nick Cave & The Bad Seeds respectively. For tickets and details go to allpointseastfestival.com.